Carpet Recycling UK held its fourth annual awards ceremony in June to mark the achievements of members who have demonstrated innovation, commitment and best practice in the sector. Guest host Andrew Bird, Chair of LARAC (Local Authority Recycling Advisory Committee) presented the winning individuals and organisations with their trophies and certificates at Aston Villa Football Club in Birmingham. It was a double celebration for Ellen Petts, Managing Director of Greenstream Flooring CIC whose ongoing success in the carpet tile reuse sector and ability to create new solutions saw her clinch two awards – Reuse Member of the Year and the 2017 Outstanding Achievement Award. Carpet Tile Recycling and M25 Made by U Ltd were Highly Commended in the Reuse Member of the Year category for their reuse successes. Mark Purnell of Fantasy Flooring was named Recycling Champion for his hard work and efforts in setting up systems and processes to increase carpet recycling at their Bristol site. Graham Kempton of Designer Contracts Ltd and Ian Proctor of Winder Carpets were Highly Commended for their on-going promotion of recycling carpet to clients. For the third year running, Designer Contracts Ltd was named Take Back Partner of the Year for its continued success in working with its supply chain to recycle carpet installation waste. Cullingford Carpets and Fantasy Flooring were Highly Commended for their successful take back schemes. Recycler of the Year went to James Robinson Fibres for their innovative work in driving carpets up the waste hierarchy and development of new systems to recycle carpet waste. Emerald Trading Waste Solutions Ltd and Milliken were Highly Commended for their sustained recycling efforts. Emerald Trading Waste Solutions Ltd took the Best Newcomer Award for proactively demonstrating their carpet recycling activities to others – having made a ‘significant dent in the post-consumer waste carpet mountain’ – and encouraging best practice in the industry. The company recycles post-consumer carpets into their Carpet Gallop all-weather equestrian surfaces. One of CRUK’s core funders, Lifestyle Floors/Headlam Group’s long-term commitment to sustainability in the carpet industry and support for CRUK’s activities was recognised with the Longstanding Support award. CRUK’s other core funders are Cormar Carpets, Desso, ege, Milliken, Balsan and Marlings. Carpet Recycling UK was founded in 2008 as the industry-backed association for reusing and recycling waste carpet. Landfill diversion of carpets has increased from 2% to 35% in nine years; the ultimate goal set by CRUK is 60% landfill diversion by 2020. Enquiries are welcomed from all types of organisations interested in finding new outlets for their waste carpet with potential savings on disposal costs. 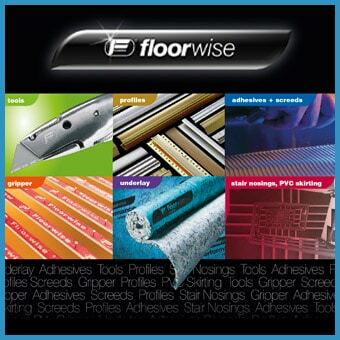 Don't miss the last day of THE FLOORING SHOW!